Favourite classic Disney songs from Mary Poppins to Aladdin and beyond were written by Jewish songwriters. In this uplifting hour, exceptional young artists from Bravo Academy for the Performing Arts present these treasures. 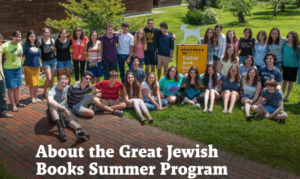 Just a spoonful of Yiddishkeit… and the magic begins! Infuse the taste of Yiddish culture into your Father’s Day with a mix of songs inspired by love: paternal, patriotic, poignant, or passionate. 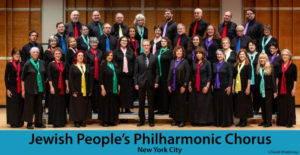 The Jewish People’s Philharmonic Chorus (JPPC) is a multigenerational forty-voice ensemble led by Binyumen Schaechter. They’ll surprise you with their all-Yiddish repertoire and ear-catching arrangements. This year, you’ll hear classic hits like the Godfather theme and popular tunes by Puccini and Handel. 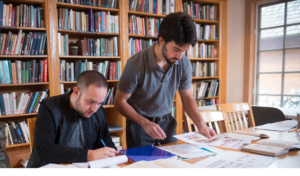 Whether you’re fluent or Yiddish-challenged, expect a heymish afternoon. treat Dad to some delicious Yiddish four-part harmony. For more information about the JPPC, please visit www.TheJPPC.org. Discount tickets for students and groups (at least ten) are available at the box office: 212-501-3330. To contact the JPPC directly, please email [email protected].